Ep.21: Is Sean Miller finished with recruiting one and done players? Cats in Vegas Summer League and Kawhi Leonard vs. Arizona circa 2009. 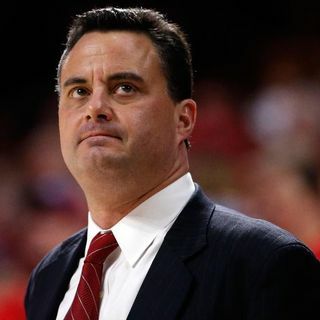 Sean Miller thinks Buffalo would have beaten the Cats four out of seven times and it's possibly causing him to change a few things in Tucson. Alex Barcello, Brandon Randolph and Chase Jeter talk to the media. Dusan Ristic and Rawle Alkins find new pro homes. Lots of Arizona sightings at the NBA Vegas Summer League and way back in 2009 the Cats took on a young Kawhi Leonard in Miller's first season in the Old Pueblo.